Environmental Protection Agency (EPA) investigators cleared former Pruitt aide Samantha Dravis of charges she skipped work for months while still collecting a paycheck. “Investigators interviewed witnesses, who stated that the employee was often in the EPA office and attended meetings during that time frame,” EPA’s Office of Inspector General (OIG) wrote in a semiannual report submitted to Congress on Thursday. Dravis worked as a senior EPA official from February 2017 to April 2018 under former Administrator Scott Pruitt. 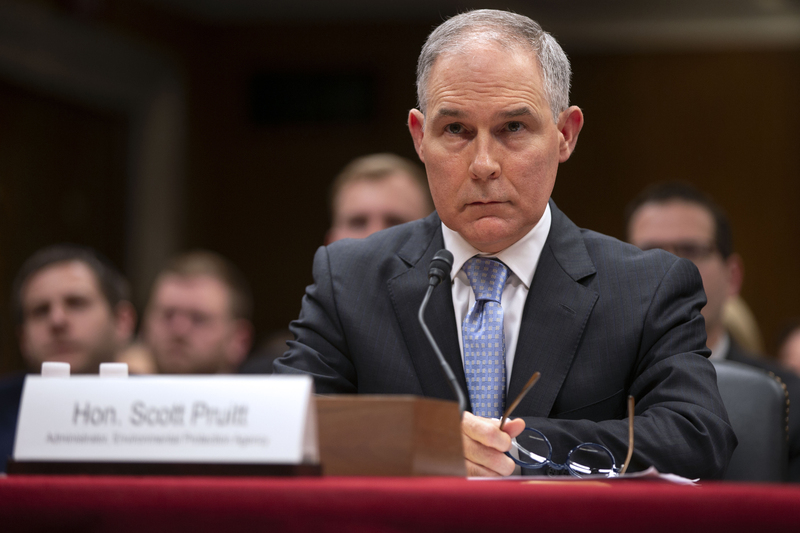 However, Dravis and other EPA staffers left the agency as accusations of mismanagement and overspending began to pile up against Pruitt. Pruitt resigned in July as allegations against him piled up. OIG investigators dropped two investigations into Pruitt’s conduct because he had left the agency, according to the semiannual report. 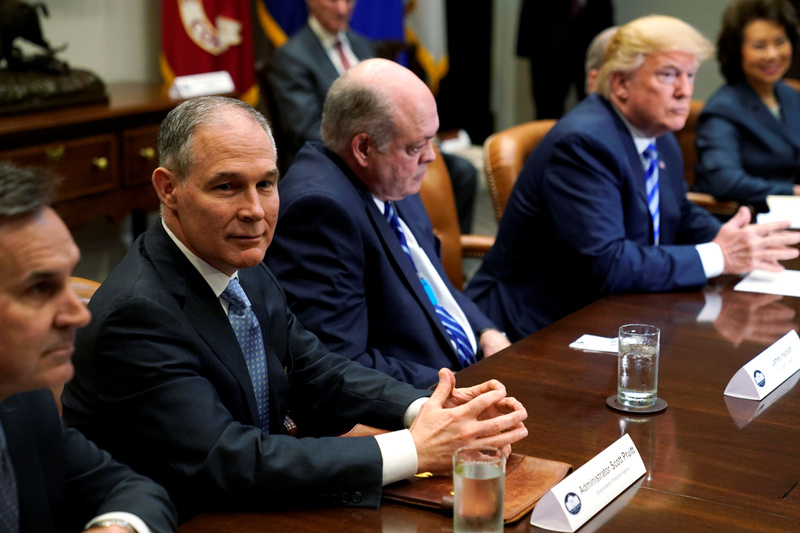 Environmental Protection Agency (EPA) Administrator Scott Pruitt (2nd L) attends as U.S. President Donald Trump meets with chief executives of major U.S. and foreign automakers at the White House in Washington, U.S. May 11, 2018. REUTERS/Jonathan Ernst. Dravis left EPA after Delaware Sen. Tom Carper, the top Democrat on the Committee on Environment and Public works, asked OIG to investigate allegations Dravis did not work for a three-month period from November 2017 and January 2018. Carper was echoed by EPA whistleblower Kevin Chmielewski, who brought a laundry list of allegations against Pruitt and his aides to Democratic lawmakers in early 2018. Chmielewski told Democrats that “for a period of weeks, he did not personally see Samantha Dravis … at EPA headquarters.” Chmielewski left EPA earlier in 2018, and investigators could not substantiate claims against Dravis. “The allegations were not supported,” the OIG reported to Congress. EPA Administrator Scott Pruitt testifies before a Senate Appropriations Interior, Environment, and Related Agencies Subcommittee hearing on the proposed budget estimates and justification for FY2019 for the Environmental Protection Agency on Capitol Hill in Washington, U.S., May 16, 2018. REUTERS/Al Drago. A number of other allegations Chmielewski leveled against Pruitt and other EPA officials were also shown to be false, including his telling The New York Times that former head of Pruitt’s security detail, Nino Perrotta, was cozy with top OIG official. An email obtained by The Daily Caller News Foundation showed that claim to be false, and TheNYT was forced to issue a correction in May. “We’re thrilled that this is over, and it’s completely unsurprising,” Andrew Herman, Dravis’s attorney, told WaPo.